As the Briteskies UI/UX designer, I have received my fair share of design feedback, some of it more beneficial than others. When it comes to an eCommerce site, everyone involved is going to have ideas about how they want their dream site to look and function. 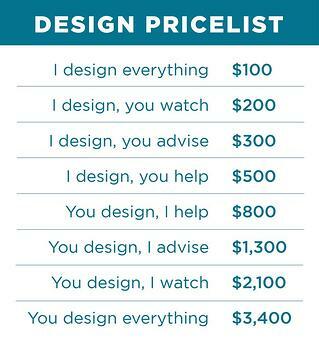 In order to accurately articulate those ideas to your designer, follow this list of dos and don’ts. A note to Briteskies clients: Each of these “don’ts” have been committed by multiple clients and this list is not meant to single anyone out. However, if in the future you provide feedback that falls on the “don’t” list, expect a link to this blog as my response to your requests. All of the design work on your site should relate back to your business goals for the project. You have more knowledge of your business and its challenges than your designer, so make sure to communicate these problems and reference them throughout the project. It can also be helpful to rank your goals in order of importance and make sure the team is aligned to the number one priority. While many designers can create beautiful work, the most successful designs directly address your business needs and goals. It’s great that you know what you like, but do your personal tastes align with your business goals? Maybe not. Every design decision should be directly related to solving problems for your business and helping to address your business goals. Try to phrase your feedback in a way that places the focus on your business problems and not your likes and dislikes, because honestly, what you like doesn’t matter; what your target audience likes matters. Designers are problem solvers, and you hired them to solve your problems. Your job during the process is to provide clear problems for your designer to solve. Most likely, your project will include large- and small-scale problems that need to be addressed. By providing your designer with problem-focused feedback instead of solution-focused feedback you allow them to approach each problem as a piece of the whole. You may feel like you are speeding up the process by sending specific feedback to your designer like, “make the buttons larger and change the color to green and move them up on the page,” but providing your designer with purely executional tasks like this is not the best use of their skillset. In this situation, a better method is to share your concern that the buttons may be overlooked on the page. Your designer will be able to address that underlying problem and may have a solution you wouldn’t have considered. Focusing on small details instead of larger problems can make the site feel disjointed and is not the best way to reach your goals. You hired a designer to work through the project challenges and develop a well-considered solution. By creating your own mockups, you limit the options for the designer and may create roadblocks down the line. Focus on the problems your customers might experience with the design and let your designer find a solution. If you desperately want to provide examples for the design, find websites that you think are successful and be sure to explain why you think their approach would address your business goals. I’m sure your Great Aunt Ethel has a wonderful eye for design, but is her opinion really that important? Before you begin the project, make sure you know who will be making the final decision and remember that there is no need to gather opinions from 50 people when five will do. You cannot please everyone, and knowing up front whose opinions matter and why will save everyone involved a lot of aggravation. 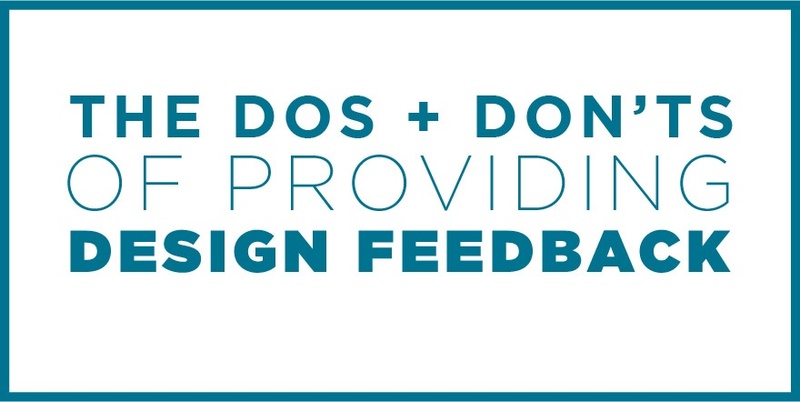 Think the feedback you are about to send your designer might fall on the "don’t" list? Run it by us first.